I love a quick project! I had finally had it! Every time I opened my cabinet in the kitchen, grocery bags would fall out! Something had to be done. So I quickly checked out my tutorial board on pinterest and found the perfect solution. I used the tutorial by Gen X Quilters. I had the exact same fabric in my stash, and I loved her version so much I made one of my own. It is now hanging in my pantry and grocery bags don't fall on my head anymore when I open my cabinet! I was thinking this would make a super easy Christmas gift. 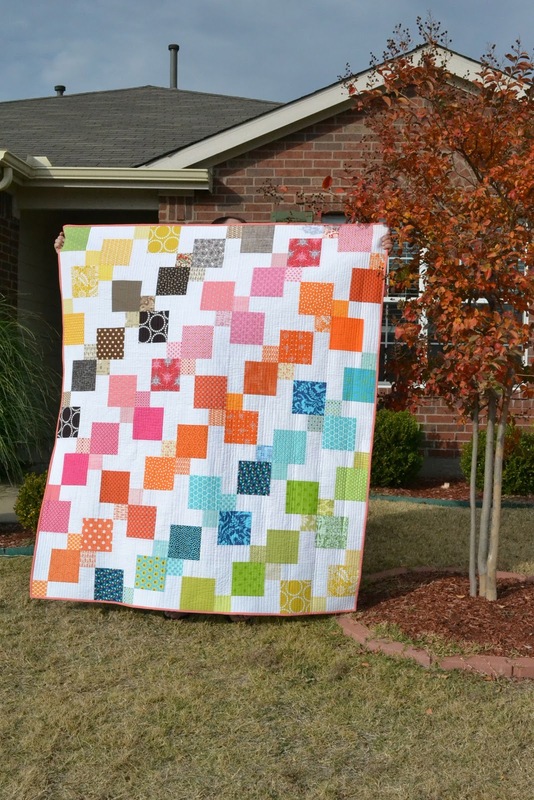 I even practiced some free motion quilting with this project. I am branching out people! Oh my goodness!!! My bundle made the top 10!! I don't know if you guys remember the bundle I put together for the Sew Lux Fabric Guest Curator Contest, but it looked like this. Well I made the top ten! And voting is going on as we speak! So head on over and vote for your favorite. All of the bundles look pretty awesome so it might be difficult to chose. So, head on over and vote here. I was working on a Christmas project a couple of weeks ago when all of a sudden I felt like I should be working on something else. I had no idea what it was, then it hit me ... I was supposed to make a healing quilt for a very special friend of mine. My friend has been experiencing some pretty serious health problems for the past year and a half. It's hard to understand why amazing people have to go through rough times, but I know where her faith lies and we both know who is in control. During the entire construction of the quilt, I was continuously praying for her, praying healing over her body and strength for her faith. I don't know what is in store for her but I do know that she is an amazing person, one who I truly admire. 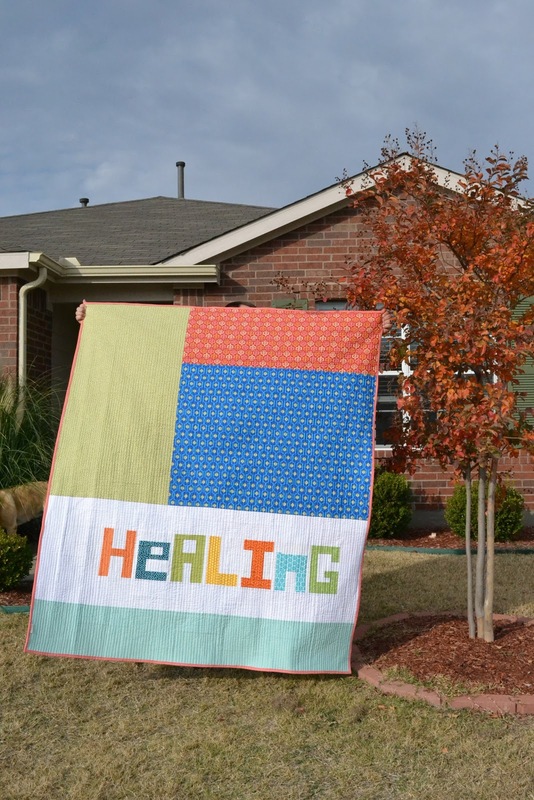 I hope that this quilt can bring some happiness during this time in her life, and that she knows that there are people who love her and are believing for healing with her. Just in case you are interested ... I used Faith's tutorial for this quilt! 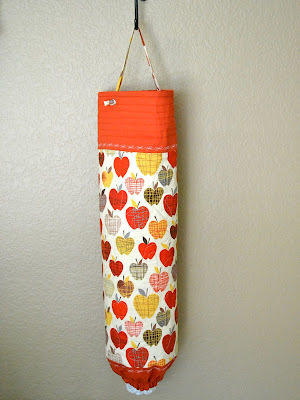 Heidi and I loved the bags that were linked up with The Long Weekend Blog Hop! All of the talent out there is so amazing and it is great to see other ladies out there that have the same passion as we do! I love the quilting/sewing community! 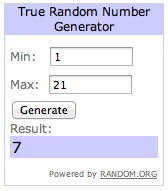 So I won't make you wait any longer ... here are our winners! Fat Quarter Shop $25 gift certificate. And the winner is .... Leanne! Fat Quarter Shop $50 gift certificate. And the winner is ....Stacey! 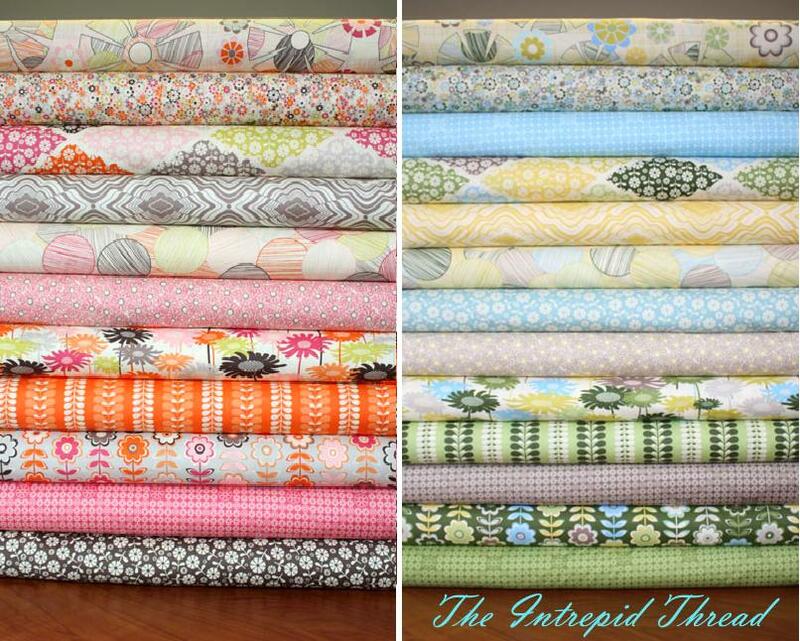 Intrepid Thread is offering a fat quarter bundle of In My Room by Jeneane Morrison. And the winner is ..... Kimberly! Pink Chalk Fabrics is offering four $20 gift certificates. Lark Cottons is offering a $25 gift certificate. 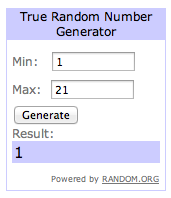 And the winner is .... Lindsey! 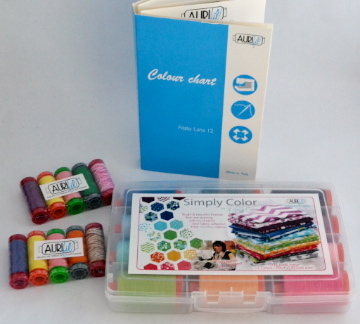 Aurifil is offering a Simply Color thread pack. 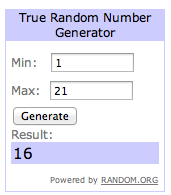 And the winner is ..... Becca! I will be contacting the winners by email so be on the lookout! Thanks for joining in all of the fun with us! Thanks again to all of our fabulous sponsors, you are truly top notch companies! Oh and I am in the process of putting together a low volume charm swap! I am thinking about starting signups in the next week or so! Be on the lookout! Time to Link Up! The End of The Long Weekend Blog Hop! The Long Weekend Blog Hop is coming to a close and it's time to link up your Weekender Bags! I don't know if you have visited all of the blog hop stops but there is a wealth of information between all of these ladies! November 19: Prize Drawings Announced! These bags are absolutely addicting! Part of me wants to make another but then I come back down to Earth and realize that there are more things on my to-do list that take priority. But looking at all of these bags, sure does make it tempting! And why don't we review all of the prizes that will be up for grabs! All prizes will be chosen randomly. (Even bloggers who were our blog hop stops are able to enter!) Heidi and I would like to say a BIG thank you to our fabulous sponsors! 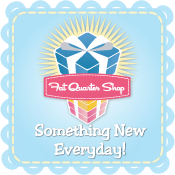 Fat Quarter Shop is offering one $25 gift certificate and one $50 gift certificate. Auriful has sent some amazing things! There are 10 small variety packs of thread that will go to 10 different winners. They have also sent some thread color cards! And last but not least, they have sent a Simply Color thread pack, I have never seen thread that looks so gorgeous! So link up ya'll! Heidi and I can't wait to see what you all have come up with! I Have Conquered The Weekender Bag! First off, let me say that I loved this project! It was difficult and challenging but I loved every minute of it. 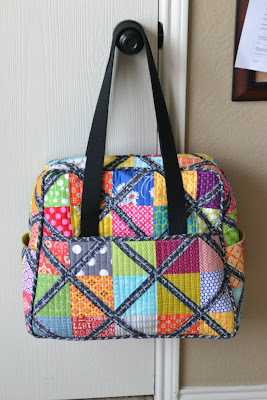 Even if you don't link up with the blog hop, I suggest that everyone make this bag at some point in their sewing journey. Once you finish it, you feel a huge sense of accomplishment. If you have been following along with the blog hop, then you have seen some amazing examples of the Weekender Bag! Just in case you missed them, here is the schedule. Go check them out! I finished my bag a while back and have been impatiently waiting to show it to all of you! Like many others, I fell in love with Elizabeth Hartman's, quilt as you go version, of the Weekender Bag. So I chose my fabrics and decided that I wanted to use a foundation paper piecing pattern that I used perviously for my Modern She Made Swap item. So let's start off with my fabric choices. I wanted something so colorful that I couldn't help but smile when I looked at it! And the best part is that all of these prints came from my stash!! The only fabric that I purchased was the black text print from the Madrona Road collection! Once I pieced my blocks together I cut out my bag panels. And quilted them with a layer of batting and a layer of cotton duck. I cut all three layers a bit larger than needed to begin with. After I finished quilting them, I cut them down to the correct size. Then the construction began. Everything went together pretty easily up to this point. I added the piping with my mega piping foot. This was my first time ever using piping in a project, it probably could have been done better but for my first time, I was pleased. And instead of making my handles, I used 1.5" cotton webbing. I am so glad I opted for the cotton webbing. I know the handles are going to wear so much better! If I could offer any advice it would be to take a break at this point. You are going to need all of the patience and calm energy that you body can produce for the next stage of the project! This is the point where I stopped for the night and picked things back up the next day. I don't know why I didn't take any pictures of actually putting the bag together but I didn't. I used Clover Wonder Clips to hold my bag together. The Wonder Clips worked pretty well, I'm not really sure anything would hold the layers together perfectly. I can't say this enough .... use a denim needle and go SLOW!!!! I am happy to say that keeping those two things in mind, I didn't break a single needle! I also made it a point to stay very calm, I really did want this to be a fun experience. She's not perfect but for my first bag I am so happy with her. One addition that I made was the masonite bottom. I saw how Jill added the masonite bottom to her bag and I had to give it a try. This was by far the scariest part of my project! I added the masonite bottom after the whole bag was completed so I had to cut through the lining and the quilted outer shell. I was so worried that I would cut the holes too big or that the lining would shift and it wouldn't be centered. It was rough! 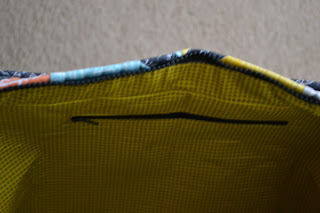 I also added an open pocket in the lining of the outer pockets, one on each side. And two zipper pockets to the inside of the bag. If I were to make another Weekender, I would figure out an easier way to do the lining. I don't like how loose it is on the inside. I will probably end up going back and tacking in the seams in more places. I think next time I would add the lining to the quilt sandwich that I made to begin with. And then maybe bind the raw edges when the bag was put together. I wouldn't be able to have pockets but I think it would be worth it. I have been trying to decide how I am going to use my Weekender. I had thought about using it as a teaching bag but I'm thinking it will be more of a bag to tote my ongoing projects around in. I am wanting to learn how to crochet so maybe it will be my crochet bag. Or maybe I will use it as my Quilting Class bag. There are endless options for this beauty! I don't know if you guys have seen this but I love participating in things like this. 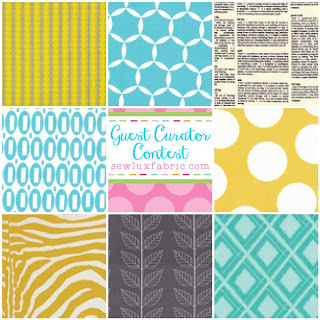 Chrissy and Linda at Sew Lux are running a competition to create your own guest curator bundle for the Curated Collections series. 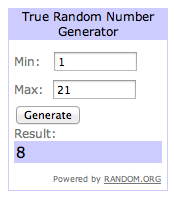 So basically, we get to create a bundle and enter it into the contest. Create a 3 x 3 mosaic of EIGHT prints or solids from their shop. 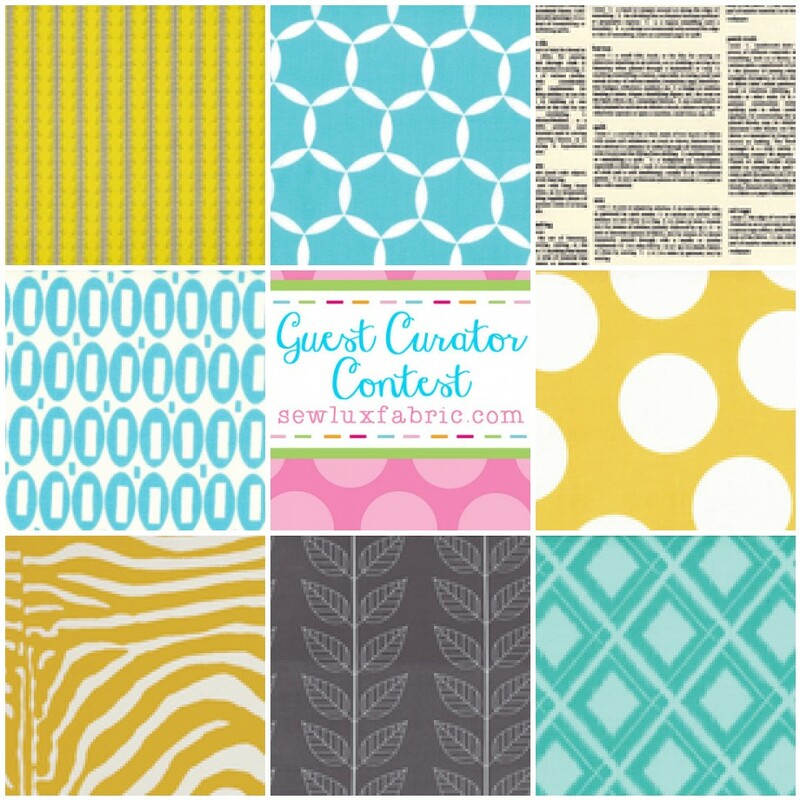 Use the Guest Curator Contest button (above) as your 9th box in the mosaic. 2. Link your post to the Sew Lux Fabric linky party by 11:59 PM EST on November 20th. They will select their favorite 10 bundles and then put it to a vote. The bundle with the most votes will be featured as a Curated Collection in the shop during the month of December 2012 and the winning curator will receive his/her bundle free. 3. One more detail - limit two entries per person, please! So here is my bundle. I am loving the grey, blue, and yellow combo right now. And I adore text prints so I had to add the Mama Said Sew print in there as well. These colors remind me of a summer day. Blue skies and sunshine! If I had to name this bundle I think it would be Clear Skies. You should definitely go check out Courtney's Weekender today! I love the additions she made to the pattern! If I had the energy when I made mine I definitely would have added the long strap! If you didn't get to see the post from yesterday, Jennifer had some amazing tips and tricks that will make your experience so much easier! And in case you didn't notice the fabulous sponsors and prizes for the final link up party here they are again! 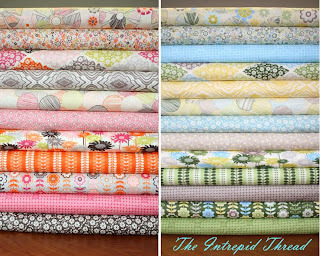 Intrepid Thread is offering a fat quarter bundle of a newly released fabric line, still to be determined. And last but not least, they have sent a Simply Color thread pack! That's huge people!! 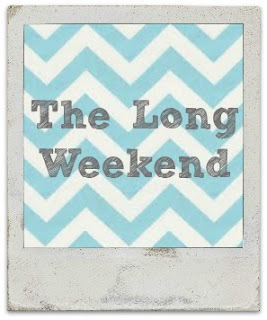 The Long Weekend Blog Hop Has Begun! It's finally here people! 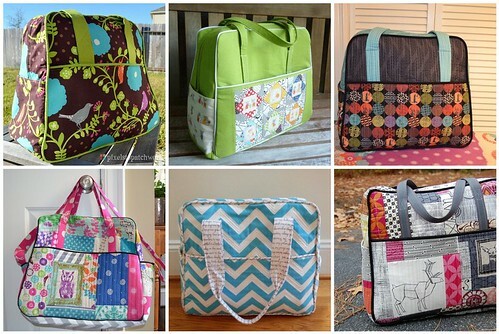 It's time to break open those Weekender Bag Patterns and start getting to work! Although the directions look scary and oh so intimidating I promise you can do it! Let's be serious .... if I can do it then you definitely can do it! I by no means call myself a bag maker, but I accomplished this one! Make sure you stop on over at Jennifer's to read all about how she conquered her Weekender Bag! She has some fantastic info over there! Oh and if you are still deciding if you want to participate or not, why don't you take a peek at what our fantastic sponsors are prepared to giveaway! 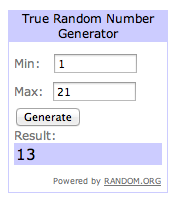 All of our prizes will be determined by random drawings! So if that's not enough to get you to join us I don't know what will be! And the drawings are random .... all you have to do is show a completed Weekender Bag! This project definitely stretches your skills and you feel so amazing when it's completed! Check out this week's giveaway!